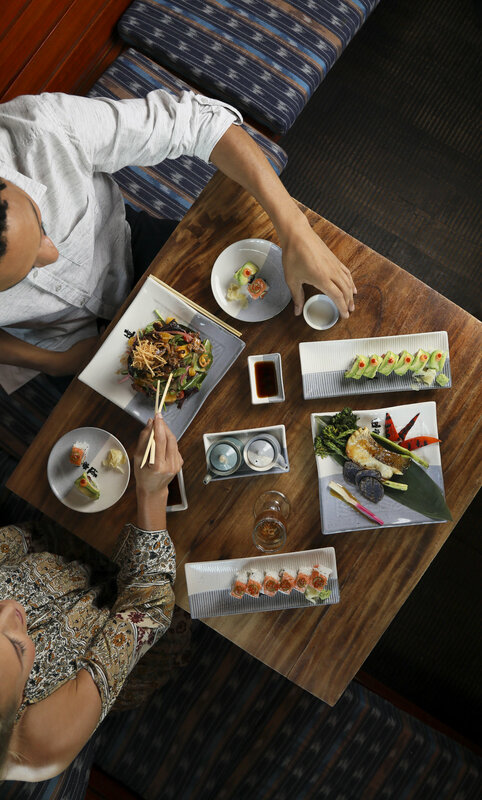 The first Doraku restaurant in South Beach, Florida captures the flavors of Latin cuisines with the sushi traditions of Japan. In the same vein of hospitality as his father’s restaurant, Benihana, Doraku’s founder directed dishes to be served “family style.” After being hand-picked at market, the fish is then packed on ice and flown in daily to the restaurants. Doraku has one of the most extensive sake menus in the United States. Each year, the management travels to Japan to hand-select new varieties of artisanal sakes from local micro-distilleries to fill Doraku’s selection.